This popular collection is now available in die cast at a very affordable price. 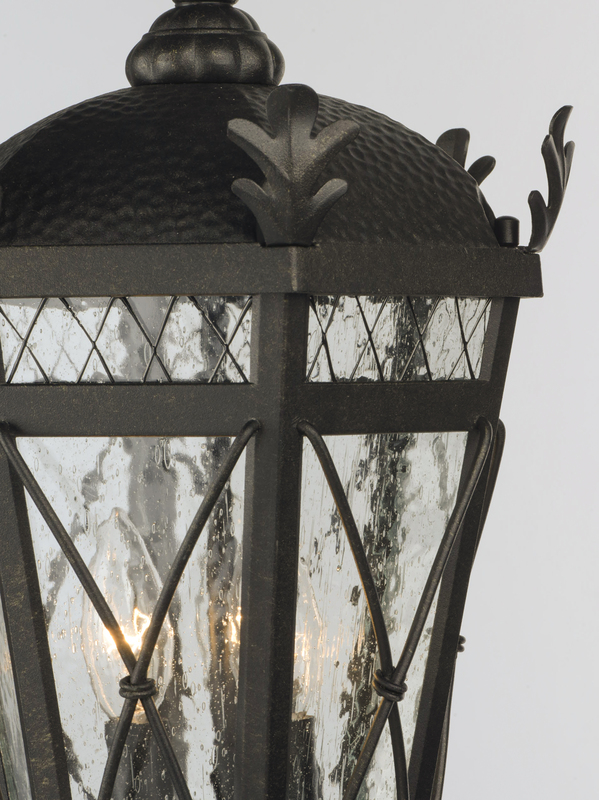 It has the same intricate details as the original including Artesian Bronze finish and clear Seedy glass. 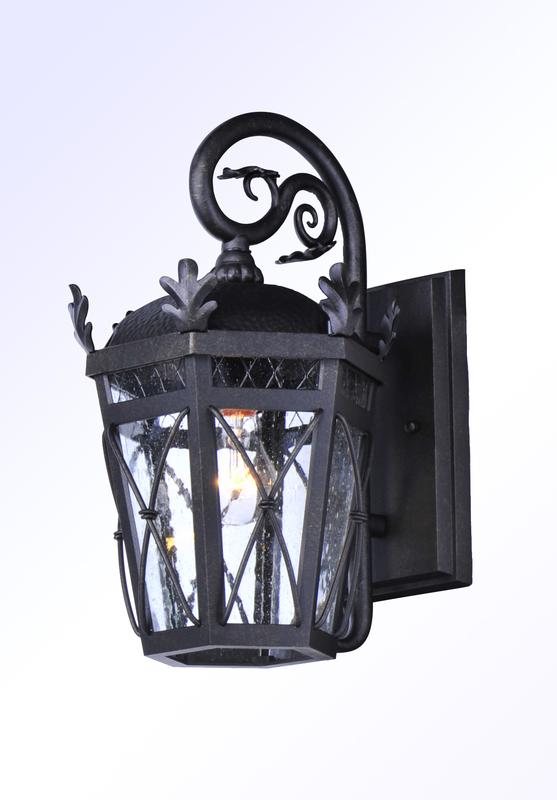 The hammered top, divided glass panel, and cross wire trim are details not normally found at this price level.